My love of quilted stars has really started to grow over the past 2 years. One of my first star quilts was blogged about here. This quilt was all machine pieced and was sort of an experiment in half square triangles. 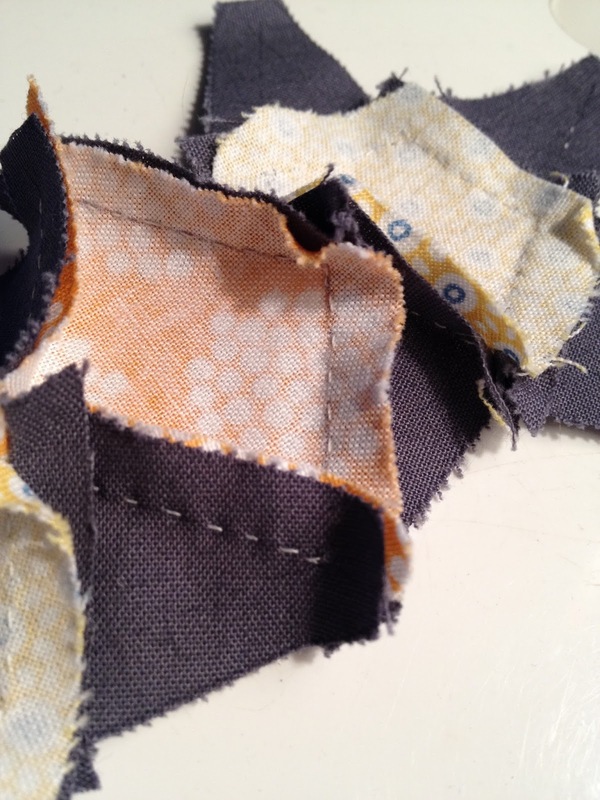 Actually a lot of my quilts and sewing projects are done more as experiments. I don't usually like to follow patterns. I see something or get an idea and work with what I have for materials on hand. I'm always looking for shortcuts too so my projects very often don't come out like I originally intended. After these stars I became more drawn to lots of quilted stars. My eye is drawn to the 30's prints with white sashing. ...anything that is bright, fresh and clean looking. I've been feeling like I'm ready to take some more time with quilts and projects and to work on technique rather than bust out a project. Both of my girls are now of the age that our schedule is filled with dance, basketball and piano and I find myself waiting, waiting and waiting some more. Knitting and crocheting are just not my thing so I thought I would work on some hand-sewing. 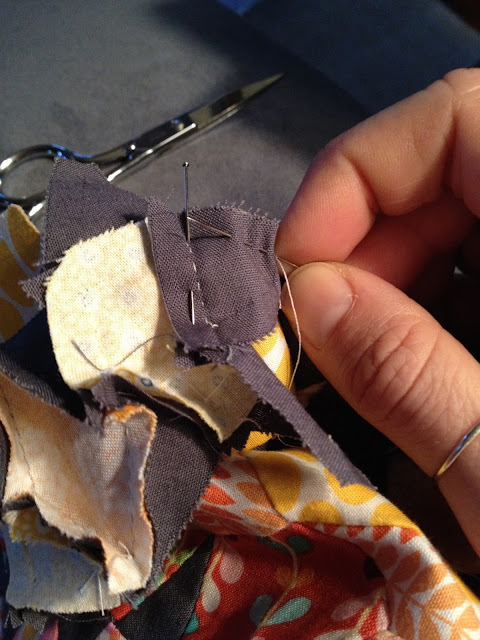 This hand-sewing inspiration came from a group of local ladies that hand-sew together. 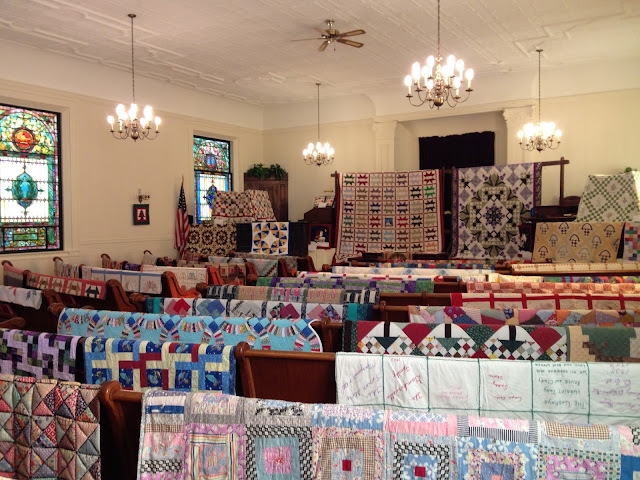 I had the pleasure of visiting their last quilt show a few years ago. It was a.m.a.z.i.n.g. 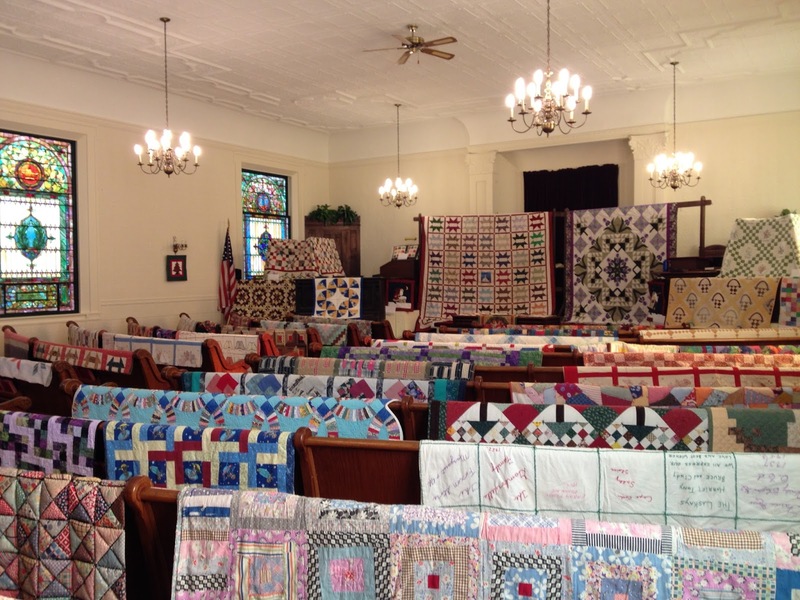 It was almost spiritual to be among so many vintage hand-made quilts. Of course the fact that they were all displayed in a church sanctuary helped with that. I have lots of photos and and will make a post about it at some point. 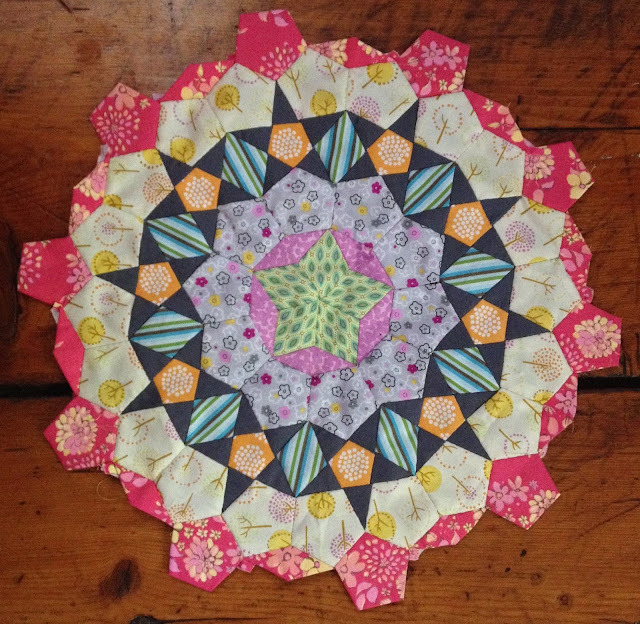 For years I have been a huge fan of english paper piecing hexagons. I've never really had a specific project in mind, I just like doing it. 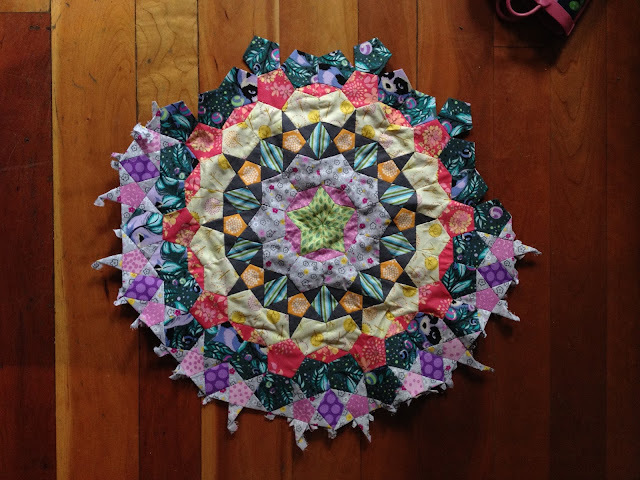 Then I came across something out there in blog land about Tula Pink and her work on the La Passacaglia medallions by english paper piecing. And I was sucked in. 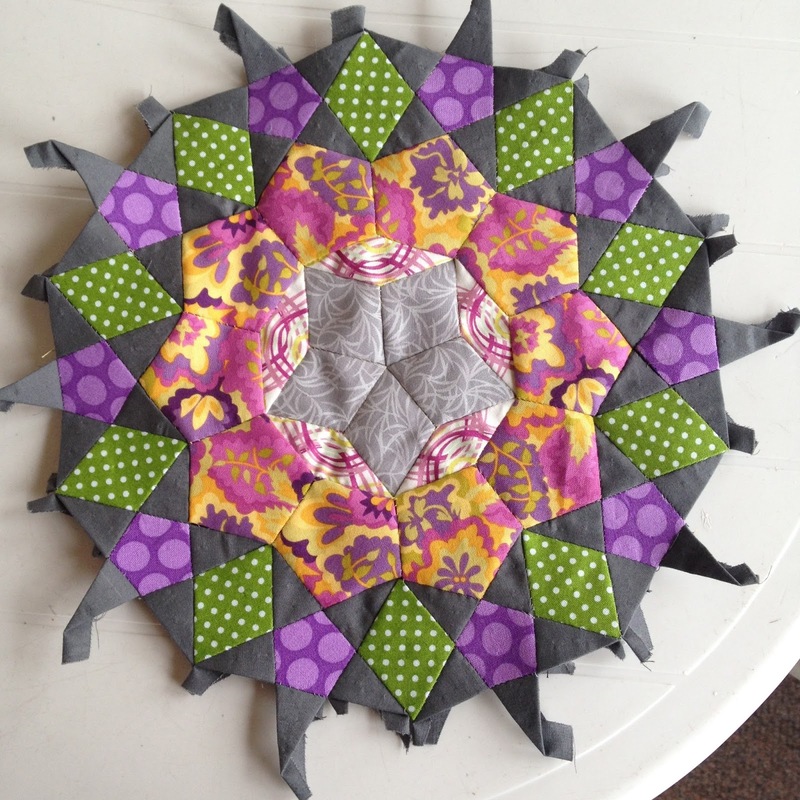 I completed 2 1/2 medallions by English paper piecing and was loving it but feeling a little disappointed because my sides and points were frequently not matching perfectly. The centers of my medallions were puckery and it seemed like I was always running out of paper pieces when I was out somewhere. I started hearing that the author Willyne Hammerstein did not use EPP but just hand-sewed the pieces together and it was much faster. Half way through my third medallion I switched over. I am so happy that I did. It took a little learning curve to match up the corners perfectly but for me this is much, MUCH! easier. My work lays flat. Sides and corners meet nicely and I think that it's faster or at least if feels faster. My stitches have definitely improved in quality. My middle finger and thumb now have a nice callus. I have certainly had more than enough needles going into my finger but I hate using a thimble and I have tried them all! My favorite way to trace the pieces is with a good ole pencil. I loved the line easily drawn on with a Frixion but then mid-medallion I ironed my piece flat and all the lines disappeared. It was an annoying challenge to redraw or guess where they were to add the next shapes. This will be a project that lasts for awhile but I'm ok with that. The frequent changes of working with different fabric and shapes will keep me interested and adding a new row is like unwrapping a gift. I love your beautiful rosettes!